Teen Wolf's Liam Dunbar has not had an easy time in his first few months as a werewolf. Like his alpha, the original Teen Wolf Scott McCall, Liam has been pushed to his mental and physical limits, but there's hope for Liam in the future. The actor who plays Liam, Dylan Sprayberry, has been promoted to series regular for Season 5, which has been upgraded to a super-sized season. In an interview with Bustle, Sprayberry says that he was looking forward to the transitions ahead, from having less fear over his transformation to the probability of telling his best friend Mason about his secret. "I feel like he's definitely going to figure out who he is, he'll adjust to it. Although he does have some problems, he's a good person. And I believe he has the potential to be a strong leader one day. He just doesn't know it yet," Sprayberry says of Liam. "But eventually he will get to that place." Considering the insane level of stress Liam has already been through, being afraid and struggling with his identity makes perfect sense to me. The poor guy went from being a hot-headed, all-star Lacrosse player to being afraid to sleep at night because of his berserker hallucinations. When it came to playing a character with PTSD, despite the supernatural element to it, Sprayberry says he had so much fun playing the difficult emotion of someone who has "such a strong fear of these berserkers." 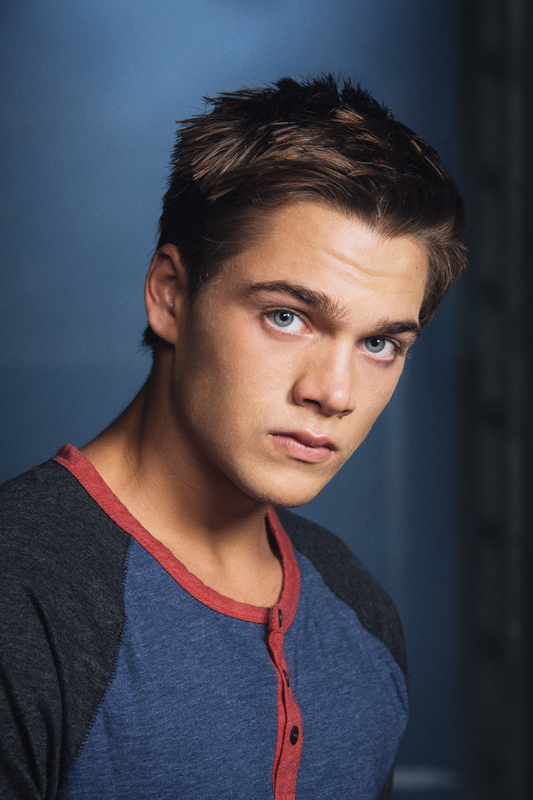 Sprayberry also addresses Liam's anger issues and family life, and how that linked to his struggle to find himself as a werewolf. "I think the anger issue is hard and there's the fact that he hasn't really had a father figure in his life. And he just got a stepdad, or rather his stepdad is relatively new. We don't know how relatively new, but he hasn't been there the whole time," he says. "So that's hard but then your teens in general is the time when you figure out who you really are." And what about his relationship with best friend Mason? In recent episodes, Liam seemed to be extremely uneasy about telling his friend about his secret. Will that change come in Season 5 as Liam matures into himself? "I think it's definitely holding him back to tell Mason because he doesn't know how Mason will react. Also he doesn't even know how to tell someone else, it's a really weird thing to tell someone," Sprayberry says about Liam's werewolf secret. "Also the way Liam works is that he wants to deal with it himself, he doesn't want to take the easy way out and let other people help him, which can be stubborn sometimes but, you know, that's just who he is. Hopefully he will learn to let other people help him." That hope brings up yet another observation from recent episodes. In Season 4's penultimate installment "A Promise to the Dead," Liam seemed to be getting some much needed advice about his fear and getting help from his rival Brett. Could that rivalry develop into a friendship? "I think it's definitely interesting because [Brett and Liam] have been enemies for a while, but the reason why they got through the last few episodes is because they're enemies with common problems going on and emotions," Sprayberry explains. Brett and Liam have both been saved by Scott and they have saved a common enemy. That can only make their bond stronger, right? Sprayberry hints that some kind of potential for a dynamic more than just enemies could carry on for the rest of this season and into next season. Maybe they could actually be friends. So what's next for Liam in Season 5? Sprayberry seems pretty hellbent on wanting Liam to be an integral part of his new pack, someone who isn't afraid anymore and can step up when people need him the most. "I want him to be more confident in who he is. Because although playing nervous and not sure what to do is fun, I'd rather be getting into the confidence and being a leader and really contributing to the pack is something I really want to do. And not being so scared and retreating into my shell," Sprayberry says. Could that new confidence bring about a love interest in the future? "I can't really think of anyone in specific that I'd want to have [a romantic dynamic] with because it's just something I haven't been able to do yet. I think now that I'm old enough to play that now in a series or movie or whatever, I think it'll be fun to do," Sprayberry says. Since we know that Liam will be around even more in Season 5, Sprayberry, Teen Wolf creator Jeff Davis, and the series' writers have a ton of possibilities they can explore with the young werewolf. It'll be interesting to see him finally come into his own and get in on the real Teen Wolf action.